Recently I observed this with twitter.com when they forgot to update the Copyright year from 2009 to 2010 for few months. 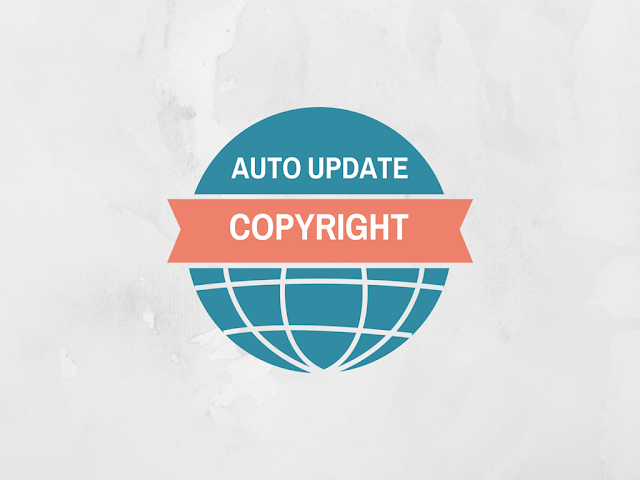 automatic copyright year update will avoid any such mistakes on your site. In this tutorial I am trying to capture most common ways where people may need to update copyright year in a website. JSTL provides rich tag support, we can use the core and format taglibs to format the year part of copyright message. Include below to taglibs in your JSP page. Now add the below code to the footer of your JSP page. To see this sample running save the files (copyright.xml & application.properties) in same directory and run "ant -f copyright.xml" on command line in same directory. The copy right year should be updated in application.properties and the content of this file after running ant command should be something like this. Make sure you update the application.properties file with appropriate file name and correct location. Ideally the update of copyright year should be done at run-time, therefore next few ways are for doing it during run-time using different web languages. Updating Copyright year in a PHP based application can be really simple. Just add below code in your application footer section. Please share your thoughts and suggestions in case you know a better way of doing the same thing. Inserting that into your copyright page ensures automatic update to the current year always. I will update the post with your suggestion and some more options. Simple but great post. Hey, I've got the idea of the several coding for several applications. One thing that confused me that the PHP code can be used in the .html page's, whereas you have mentioned that PHP based application like home.php / index.php. Am I right? Please let me know as I'm a newbie. Thank you for your kind help. Automatic Update of Copyright Year would be a great thing if it's possible, there are always a cases where one can forgot to update the copyright year, in such cases these code will prove useful where there will be an end to this problem for ever. Hi, Thanks a lot. It works. @Sam, yes, you can post the code on the html page and the code will work. The website needs to be php based though. how would one do this? ?